My husband and I are both light sleepers and consequently, picky pillow people. To help us sleep at night, warm and comfy bedding plays a big part. 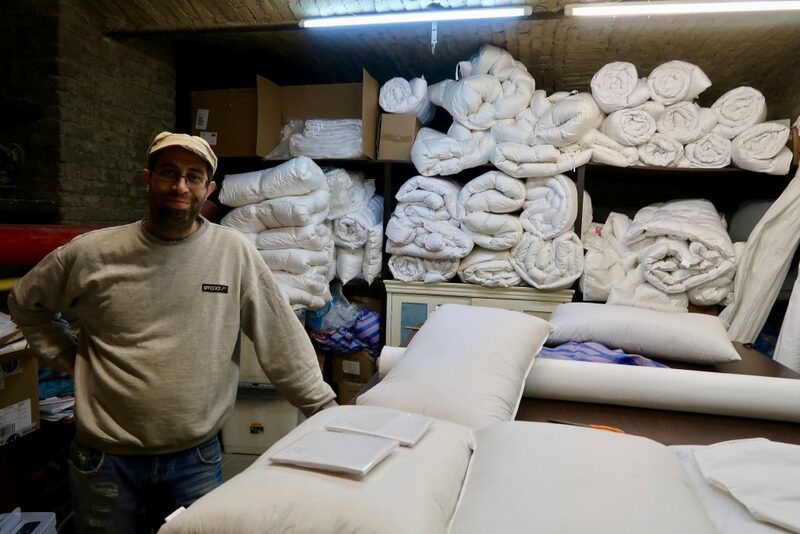 For anyone that has ever looked for quality linens in Budapest, you know this can be tricky. Yesterday, we set out to find the perfect pillow in Budapest. And guess what? We did. Some people are very lucky and seemingly have the ability to sleep anywhere at anytime – just like my sister. I need a dark room, a heavy blanket, calm music or total silence. My husband is the same and we always wake up if there is the slightest disturbance in the force. 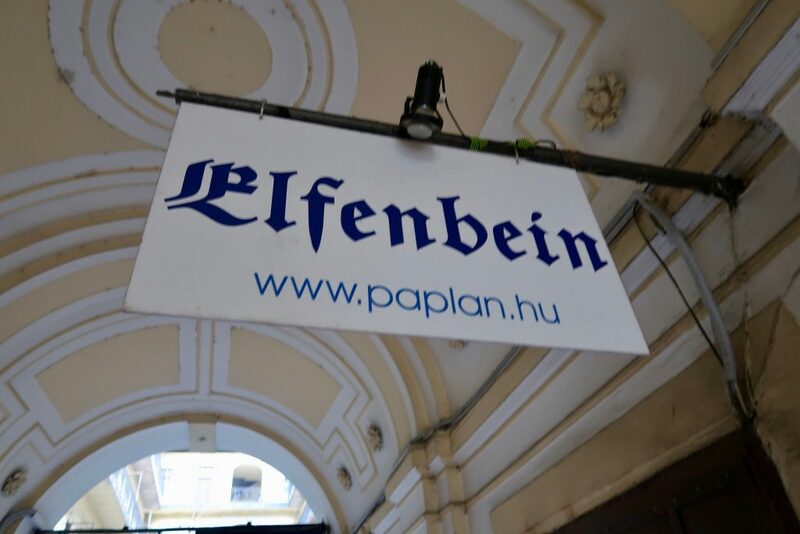 Located at Teréz krt, 35 in the 6th District of Budapest, Elfenbein is easy to miss. Only a small sign on the street takes you to a door leading down a fairly rickety wooden staircase into a basement filled with feathers. It’s like being in a Victorian snow globe – but one filled with goose down instead of snow! Our trepidation disappeared in an instant when we received a warm greeting from the owner, Tamás Szántó. This small but perfect workshop was started by his grandfather in 1957. Elfenbein makes custom Hungarian goose feather pillows and comforters – and they are amazing! The welcoming and knowledgeable Tamás. Tamás gave us a tour of the workshop and explained the differences in the 3 types of pillows he offers. You are also able to purchase them in various sizes – including any custom sizing you may want. We chose to purchase two standard pillows in the “sandwich” style. 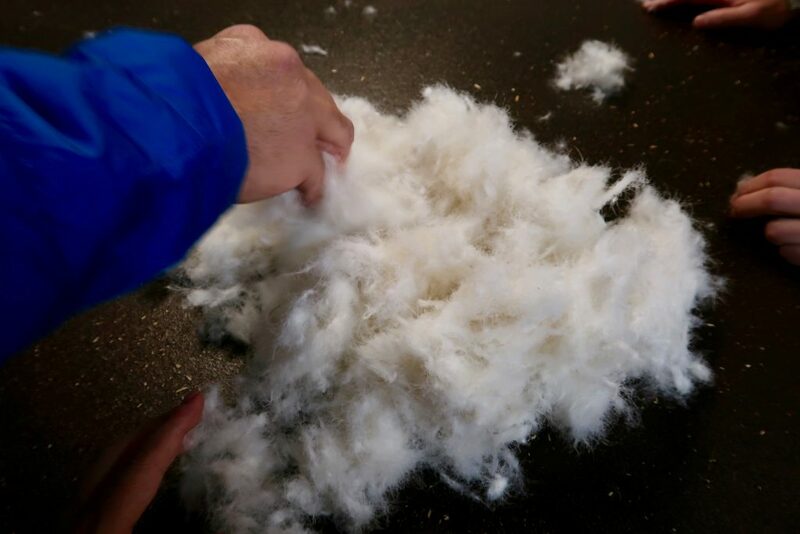 The means our pillows are stuffed with Hungarian goose feathers, but then also have a layer of goose down on either side. This method allows the feathers to provide good head and neck support, with the soft down to prevent feathers from sticking into your face while you sleep. Clever. Luckily, Elfenbein also provides pillow cases, so we didn’t have to go to a separate store on the way home. This is especially important for us since the standard European sized pillow is different then what we use in North America. Any and all of our of our existing pillowcases just wouldn’t fit. Andrew feeling the very soft Hungarian goose down used in our pillows. 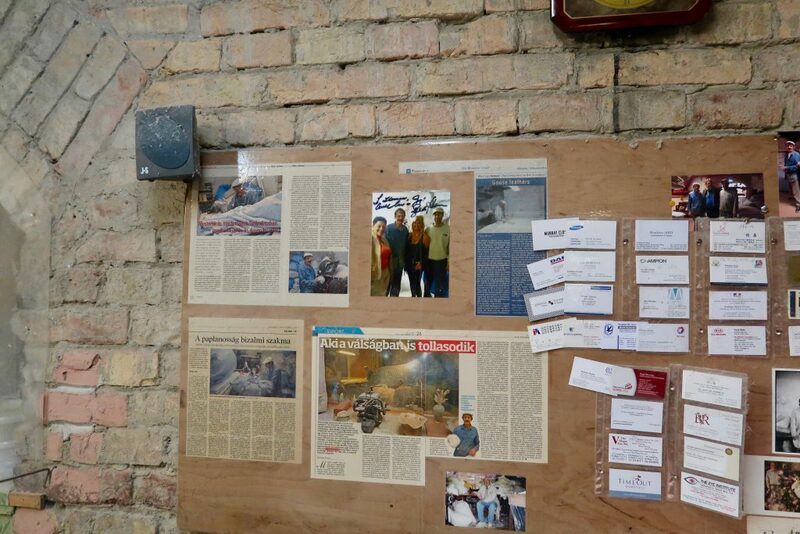 A corkboard with articles and thank you notes from satisfied and some very famous clients (Goldie Hawn being the most recent). While I understand that feather pillows aren’t for everyone – especially those with allergies. We LOVE them. We can even take ours back to Elfenbein to have them adjusted if required. Tamás said these new ones should last us 30 years before replacement is necessary. It should be noted that we paid more than double for our old feather pillows purchased at The Bay in Toronto five years ago – and those pillows were not hand-made. Of course, Elfenbein is also famous for their comforters/duvets. We did ship ours from home, but we know where to get a new one when the time comes. 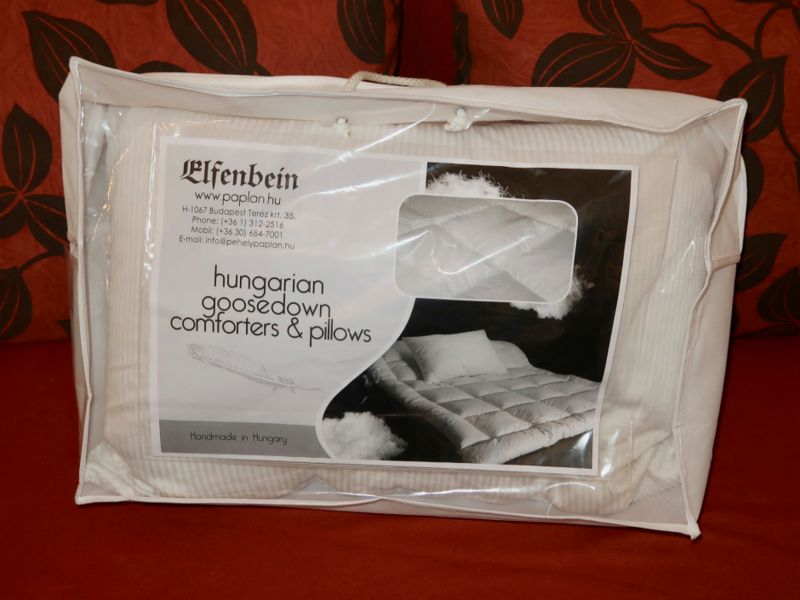 We highly recommend Elfenbein for your new pillow in Budapest – and they even ship worldwide.